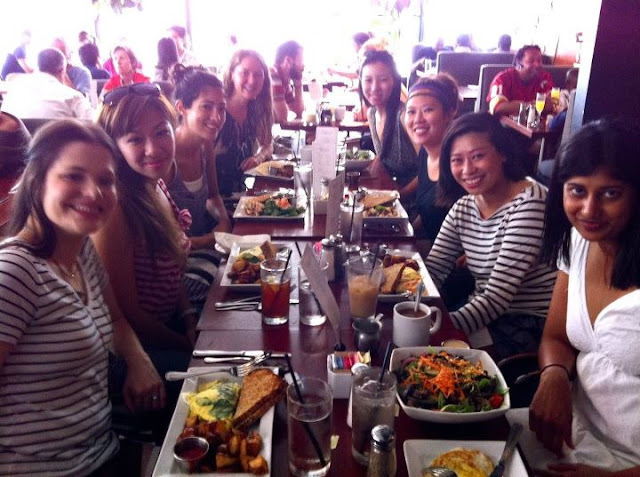 Forays of a Finance Foodie: Healthy Alternatives to Fight the Freshman 15! Now that Labor Day has officially come and gone, it's time to put away the Hawaiian Tropic and pull out the Jan Sport buried deep in the closet. Yup -- it's back to school time, which means long days of learning filled with even longer nights of meeting and greeting (this is especially true in my grad program, where everything seems to be done over pizza and beer!). Let's be real here, with all this eating, drinking and lack of sleep, it's super easy to gain the dreaded Freshman 15. Luckily, my older and wiser self (marred by a slower metabolism), has found some simple but effective foodie tips that have helped in keeping me trim and my the social calendar on a roll. Check out my tips -after the jump! College is a mecca for drinking at all times and those two, four, seven drinks a day can really add up (case in point: an average sized pint of beer packs in more than 200 calories!). Plus, if you're a girly-girl like me, you probably secretly hate the taste of beer / liquor, and wish you were spending those 200 plus calories on something that actually tasted good -- like a cookie. My solution? Mike's Hard Lite Lemonade and Cranberry Lemonade (aka the Girl Beer). With only 109 calories per 12oz bottle, this all-natural and gluten-free beverage tastes just like a fruity punch -- you totally cannot taste the alcohol at all. Not to mention, it also looks super coordinated with my pastel swimsuit while chilling poolside! Most fully loaded beef burgers top out at over 800 calories, which spells trouble for the waistband. Therefore, whenever I attend a BBQ party, I always make sure to bring a box of Jennie O Turkey Burger patties for the grill. These babies, coming in at ~170 calories per patty, are much less fatty and caloric than the traditional beef burger, but just as yummy and juicy (and pre-seasoned too!). Topped with lettuce, tomato and ketchup (NO MAYO FOLKS!) -- this turkey burger makes one satisfying and fulfilling meal that doesn't break the calorie bank. It's a proven fact that not staying hydrated can lead to weight gain, so I always make sure to carry a bottle of water with me wherever I go (in fact, I only buy handbags that are big enough to fit a 16 oz water bottle). Since I am deathly afraid of unfiltered water (sorry but I'm high maintenance), I rely on my Zero Water pitcher to provide clean, fresh and sediment free water to quench my thirst and keep the hunger pains away. This water filter, which I find far superior to my old Brita filter, remove both organics and the heavy metals dissolved in the water (ordinary carbon filters used by the Brita pitcher normally remove organics matters only). The result -- cleaner and crispier water that I happily imbibe. Plus, each pitcher set comes with a water testing meter that shows the Total Dissolved Solids (TDS) -- so rest assure, you water is for sure pure! So there you have it -- a few quick tips to stave off the pounds while enjoying the college experience! 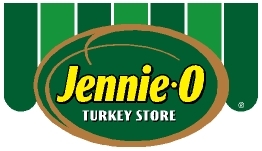 Jennie O Meats has teamed up with financefoodie.com to help one lucky reader start the school year (or Fall season) off healthy by giving away two $10 gift certificates good for any Jennie O retail or deli meat product. 1. REQUIRED: In my comments section, tell me what you what is your favorite healthy snack. Also please include your email address so I can contact you if you win! Contest ends Friday, September 9, 2011 at 5pm EST. Winners will be chosen via random integer generator on random.org announced on the financefoodie.com site shortly afterwards that night! Full Disclosure: The prize pack has been provided by Jennie O. I was not compensated for this post. My favorite heathly snack is a toasted bagel with low fat cream cheese. I like frozen fruit- melon cubes and grapes particularly. i love eggplant dip and pita triangles. We like Hummus with pita bread and veggies for a healthy snack. I love frozen grapes more than anything! Thanks for the great giveaway! im a sucker for edamame or sugar snap peas. My favorite healthy snack is a little package of cocoa dusted almonds. My favorite healthy snack is greek yogurt with fresh fruit. My favorite healthy snack is popcorn. I have it often and love it. I love a veggie snack! My favorite healthy snack is White seedless grapes. I'm a big fan of tortilla chips. They hit the spot when I want a salty snack. My favorite healthy snack is grapes. I love cut up apples. For some reason apples seem more fun when they're cut up. I love a small piece of corn on the cob. Just plain. My fav healthy snack would have to be carrots and peanut butter (or celery) Also almost every fruit with yogurt! My healthy snack is peanuts. My favorite healthy snack are raw carrots. My favorite healthy snack is apples and raisins. My favorite healthy snack is watermelon. I love yogurt as a snack. I love crosscut carrots and hummus. I like homemade pita chips dusted with cumin, or else a spoonful of peanut butter to tide me over. My favorite healthy snack is a strawberry and banana smoothie with skim milk and honey. It's even better than ice cream! Plain yogurt with strawberries, blueberries, and a sprinkle of granola is my fave. Hummus and veggies are my favorite snack. It gives me the crunch fix without the calories in chips and dip. My favorite healthy snack is yogurt with apple slices. My favorite healthy snack is fruit, especially nectarines. My favorite healthy snack is a cup of non-fat greek yougurt. I like rice cakes with some peanut butter! followed finance foodie on twitter. My favorite healthy snack is a mix of chopped up fruits made into a sort of fruit salad mix! turkey is a great food snack--otherwise we love our fresh fruits here!! I love apple slices or almonds! My favorite healthy snack is cucumber with laughing cow cheese. My favorite healthy snack is fresh fruit. Thanks! My favorite healthy snack is baby carrots! I am following finance foodie on twitter!